In this world of technology, new developments are being made every day. But when it comes to photo storage, people struggle to find the best solution. The digital movement has made the notion of printing pictures and keeping photo albums obsolete, and indeed, digital is a cheaper, neater, more convenient solution. At the same time, storing photos on computers can take up valuable storage, slowing down run times. Photo storage sites have emerged as a better solution but can be expensive and limiting in giving users the flexibility they need, until now. Yogile is a photo storage web site that can change all that. Yogile is an independent company based in Amsterdam, Netherlands. They have been on the market for 8 years. Their track record proves that they are a reliable company that is not likely to disappear any time soon, and take your valuable media with them! Yogile stores your pictures on Amazon S3 storage services, ensuring photos are safely secured in the cloud. They use Backblaze B2 for backup, which allows users to restore photos they may have accidentally deleted from their accounts. All photos are stored in RAW and PSD formats. The rights to the photos are held by the user. 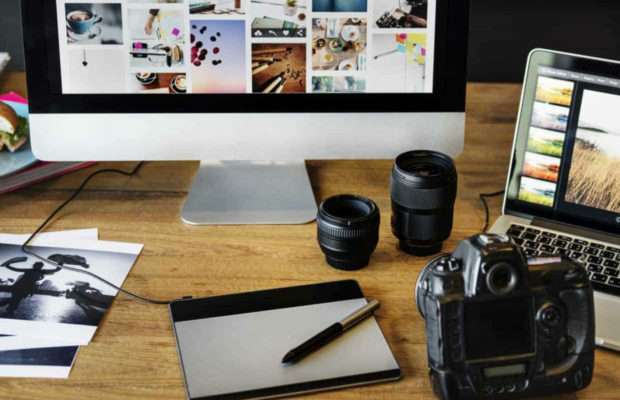 This makes Yogile a great resource for professional photographers who wouldn’t be able to get the same convenience from sites like Flickr and other big players. But the best thing about the Yogile site is the ease of use provided to their customers. The site is strictly focused on photos so they can offer a level of convenience that other web sites don’t. Users can create folders to help them keep their media organized. They can also use Yogile’s tools that allow photos to be edited and retouched and share them easily on social media. Another benefit of Yogile is that users don’t need an account to upload photos. Because of this, family and friends can easily share pictures to your account. Accounts can also be kept private, depending on user preference. Yogile is available for a very reasonable price. An upgraded account offers unlimited storage for $4.99 a month or just $44.99 a year. At the annual rate, you can store photos for less than $4 a month! Yogile has recently made upgrades releasing iOS and Android apps to provide a better user experience. These apps mean users can have access to their photos on any device and the ability to share photos anywhere on the web in one easy step. Technology continues to evolve, and the way we store photos is no exception. Yogile understands how valuable your photos are, which is why they offer a secure, affordable and convenient storage solution. With Yogile, you can just concentrate on the image, and they’ll do the rest!